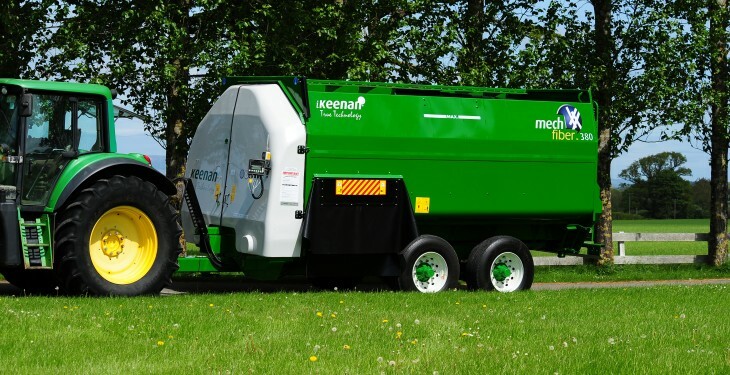 Alltech has agreed to acquire Keenan, the diet-feeder maker based in Borris, Co. Carlow, following successful takeover talks between the two companies. Last week, joint receivers were appointed to Richard Keenan & Company Ltd. after discussions with a potential investor were unsuccessful. Speaking following the acquisition, CEO of Alltech, Alric Blake, said that this is an exciting time for the diet-feeder maker to join Alltech. Science and technology are at the forefront of everything we do. This new journey with Keenan further strengthens our ability to deliver on-farm nutrition solutions. Dr. Pearse Lyons, founder and President of Alltech, said that the Keenan group has long been a friend of Alltech. “This is a story about two great Irish; globally-minded companies coming together. As an Irishman, I am delighted to welcome Keenan to our family, because together we can deliver greater value to our global farming customers with a wider variety of technological solutions. Alltech and the Carlow-based company have identified possible growth opportunities together, which may include nutritional technologies and feeding programmes focused on feed efficiency and herd health as well as advanced ration formulation. Keenan will continue to be head-quartered in Borris, Co. Carlow, Ireland. Together, they will employ nearly 300 people in Ireland and close to 5,000 globally.